In some slightly bonkers news, our little film has been nominated for an International Emmy for Best Documentary! Guess Tommy might have to brush off his tux! Click here to buy a DVD of the film… stocks limited. BACK ON SALE – WHILE STOCKS LAST! We’ve just received a new batch of Growing Up Down’s DVDs with shiny new artwork in our shop – get them while they’re hot, sure to sell out fast! By popular demand, we’re releasing a LIMITED RUN OF GROWING UP DOWN’S DVDs for Christmas!!! Please head to our shop to purchase – and be quick, they’ll run out fast! 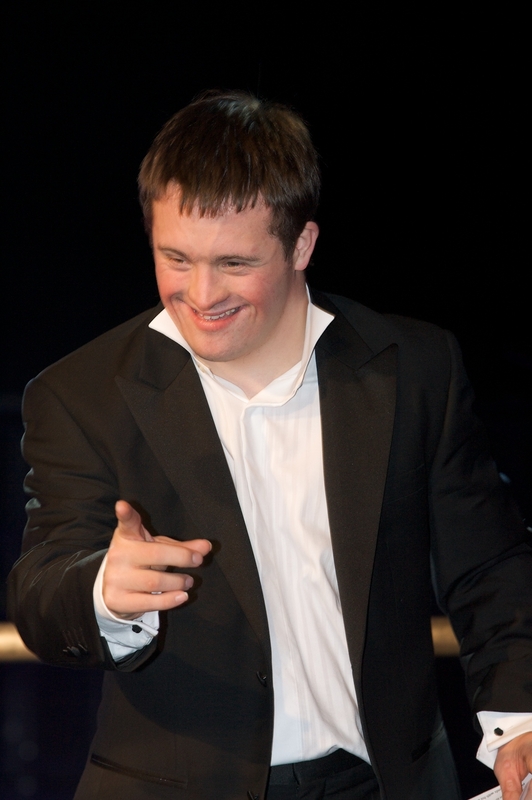 A massive THANK YOU to everyone who bought a Super-Special Limited Edition World Down Syndrome Day 2014 pre-release DVD!!! 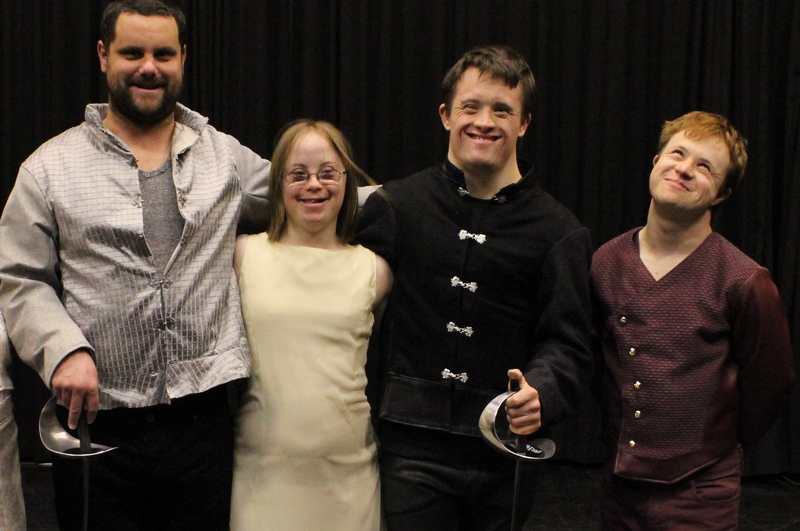 We’re a little way off releasing “Growing Up Down’s” on DVD, but we wanted to celebrate World Down Syndrome Day 2014 (#WDSD2014), which is this coming Friday 21st March. So we have decided to do a super-special edition DVD release, selling for £21 in honour of Chromosome 21. We’re making these DVDs with amazing special gifts, and when they’re gone they’re gone. The money raised will help us to distribute the film more widely. To find out more and purchase the DVDs, please visit our SHOP page above! This is HAMLET IN LOVE. I’ve just about finished filming for HAMLET IN LOVE! There are a couple of things to finish off – such as Lawrie *hopefully* meeting the actor of his dreams – but the story is there. And it’s beautiful, heart-breaking and uplifting beyond belief. 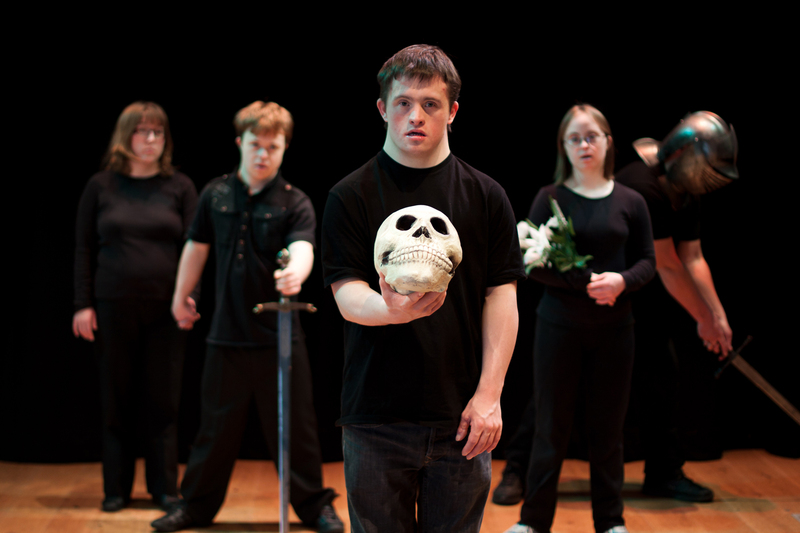 Tommy and Lawrie have been taking part in Mark Rylance’s “What You Will: Pop-Up Shakespeare” performances to celebrate the London 2012 Paralympics. If you watch this video VERY CLOSELY, you will see the ‘ocular proof’! Phewph! After a mad flurry of six performances in eight days, we’re nearing the end of the tour. And it has been utterly AMAZING. Everything has gone right – even the Cornish weather. Unbelievably, after weeks of drizzle and flooding, the skies cleared for our visit to the open-air Minack, and we played to a good crowd in gorgeous, gently fading sunlight. Truly, a magic hour. Equally memorable was our stay in the wonderful Foxes hotel, with breakfast prepared and beds made by Billy, Laura and Emma, lovely, lovely people who happen to have Down’s Syndrome. Lunch was a long-awaited and richly-deserved fish and chips followed by ice cream, which set us all up perfectly for a smashing performance to a raucous crowd at the Regal Theatre that evening. 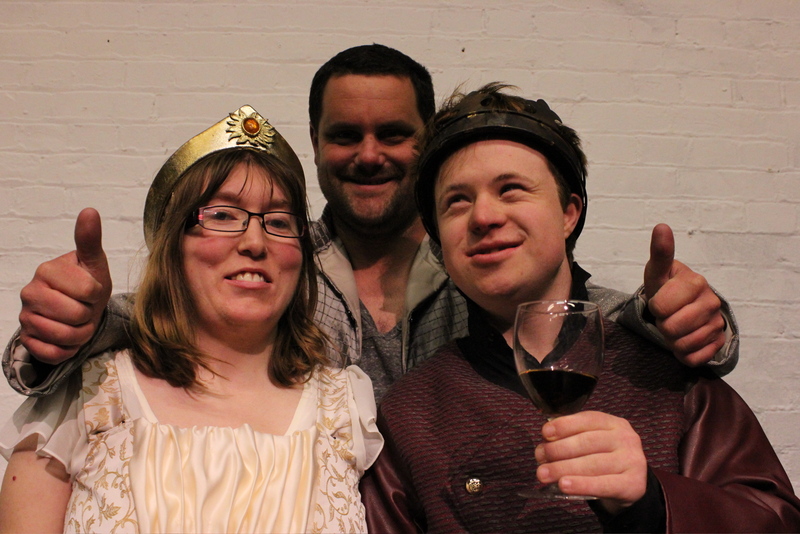 For this writer, however, the best performance to date was Friday’s at the Forest Arts Centre in New Milton. The small-ish crowd were knocked off – or rather onto their feet in a standing ovation – by the depth of emotion and superb rhythm that the actors produced. Truly, that was how I wanted it to be when I wrote the adaptation. Everyone who has seen it has been wowed and entertained, BUT NOT ENOUGH PEOPLE HAVE! Generally, our audiences have been at about 40% capacity (80-100 people). Which is apparently good for drama in today’s world, and especially for a full tour – BUT STILL LEAVES A LOT OF EMPTY SEATS! 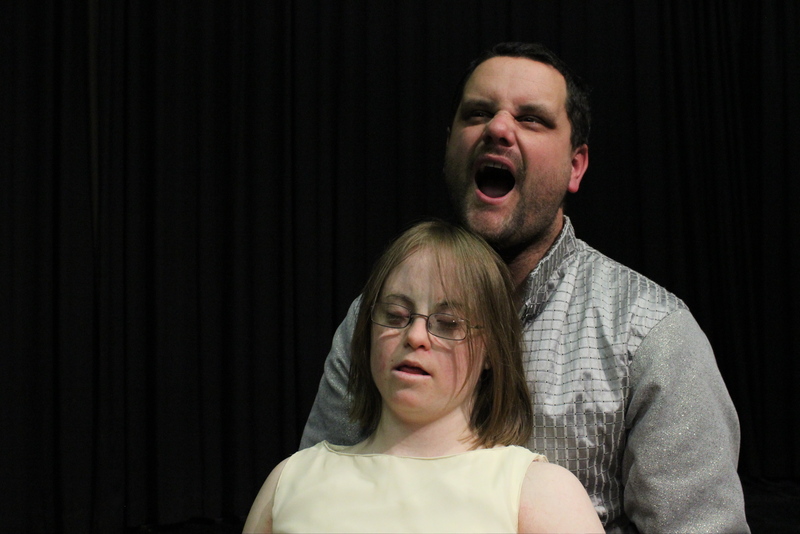 We have a performance on Weds 23rd at a local school, then on Sat 26th May a trip to Teddington and the beautiful Normansfield Theatre at Langdon Downe House, the spiritual home of Down’s Syndrome. On Thurs May 31st we’ll be in Guildford playing the Mill Studio at the Yvonne Arnaud, and then we’ll be knuckling down to focus on the main company performances at Winchester Theatre Royal June 28-30th. The final, blow-out date is the Rose Theatre, Kingston on July 4th.